Blog » NAMM 2018 » Fender Offer 3 More FX Pedals! Following the staggering release of Fender’s FX pedals earlier in the year we are now treated to three more! 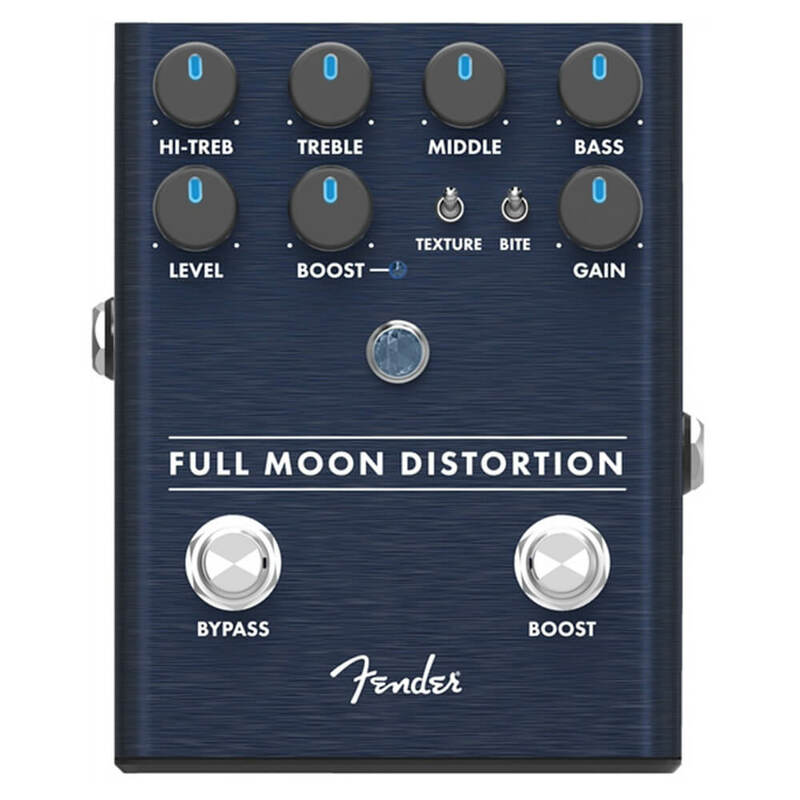 The trend-setting brand has added a clean boost, a fuzz and a distortion to the lineup. With the sleek design and super-cool LED knobs, these are smooth additions to any pedalboard. Rich Tone look closer at each of these exciting new offerings. The clean boost is a favoured choice for those guitarists who need increased volume without the crunch of overdrive and distortion. The Engager provides a kick to your guitar signal when you need it most, and can also be a great tool for driving into a tube amp to get that classic, breaking tone. 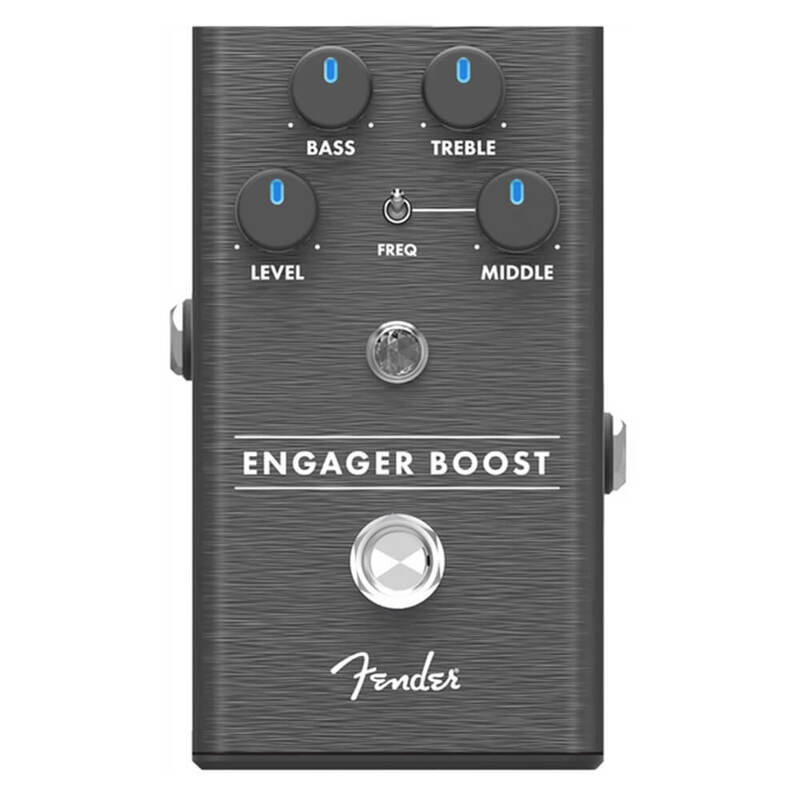 The Engager Boost also gives you tone-sculpting options through the three-band EQ. This lets you fatten up or sweeten your tone to perfection! And the option to toggle between true and buffered bypass modes means the Engager will be right at home wherever you place it. 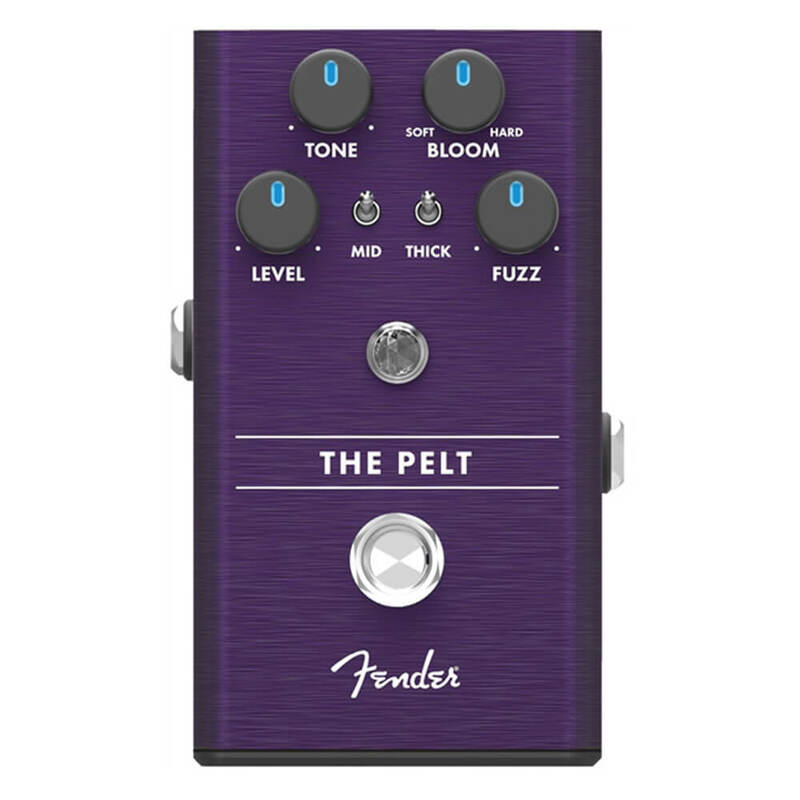 The purple Pelt fuzz is set to be your new multi-application fuzz machine! An important part of the rock tone, fuzz is always on hand to rough up your tone when things get bumpy. The Pelt is packed with useful features to help you shape your sound. As you’d expect there’s the standard controls for Level, Fuzz and Tone. Fender have included a ‘Bloom’ control which modifies the character of the pedal, contouring the tone from precise to expansive. There’s two switches on the pedal chassis, one for ‘Mid’ and ‘Thick’. These enable you to add some mix-cutting mids or fatten your tone respectively! This pedal takes distortion to its logical conclusion – it’s an all-out high-gain monster! Level and gain knobs are here, as well as a boost for complete carnage when you max them out. The second footswitch gives you a 12dB boost, for some of the biggest distortion available. A modicum of control is provided by the detailed 4-band EQ, which lets you dial in your sound to taste more accurately. The Texture switch switches between symmetrical and asymmetrical clipping modes, and the Bite switch helps to highlight the frequencies around your picking.